In the last century alone millions of human beings have migrated from one part of the globe to another. Is this a phenomenon of our times or, a natural occurrence with many of the same cause and effects of the past? May this be just the human necessity to survive? 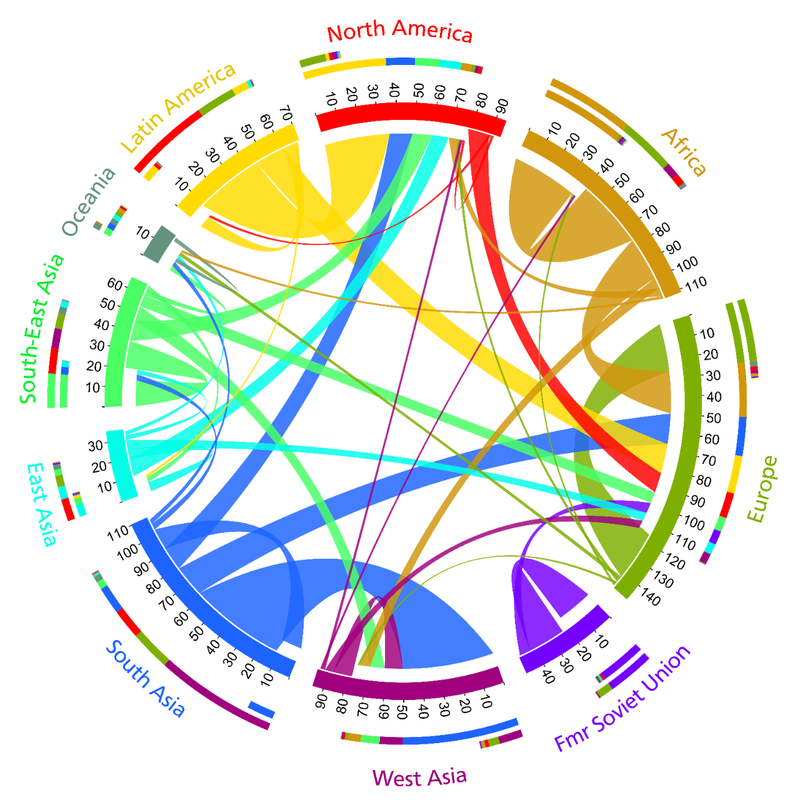 There have been mass migrations of entire civilizations from one region to another. As in the past, the largest variable are resources. Food and Water being most important. Mass migration in search for these resources would be the natural state of preservation of our species. After all, much of early human development concentrated on nomadic tendencies instead of science. Mechanical societies arose as early humans behaved alike. educational and religious training, and lifestyle. on kinship ties of familial networks. There was no formal government as we know it today. War was waged for Food and other basic resources including slavery and was local in nature. As humans developed socially the need for sharing within the group became essential. And as a result the concept of Organic Solidarity was born. And as a result most migration today is based upon political upheaval as we see it today...man made by bad actors. The mass migration of people today is caused by government ... bad government. Government that denies people their basic human rights, and in doing so rejects their need to be part of the modern world. Unfortunately the movement of large populations can cause irreversible harm to neighbors who only wish to help. No nation at no time expects migrants to overwhelm societal norms, or resources as we see happening today. with dignity and honor no matter where they are born. One Universal nature based upon do no harm. This may be the only option left! We can do more than react to bad situations with viable solutions so those who are displaced can return home. It is our right to fight the coming storm to save our nation from the bad actors who will do us harm.